Recently, I completed a model shoot at WAAAM with some of the old biplanes there. The route to this shoot was nebulous and the original point of the shoot got lost a little bit, but we made something great out of it. I believe WAAAM will get a great photo to hang in the lobby out of this and I certainly got some nice new additions to my portfolio. I’ll begin my narrative with the human side of the story, as the shoot was an incredible experience, and this part of the story isn’t necessarily evident in the story. I have been working with Ken Olsson with various things at WAAAM for several years. Initially, we met when I was writing a story about aviation museums in Oregon. I’ve always enjoyed talking with Ken, he’s friendly, and we’ve always had plenty to talk about. I met Carrie Strahle, of Carrie Strahle Makeup Artistry, at an ASMP event, and exchanged business cards with her. She is the kind of person that instantly strikes you as a friend, despite the brief encounter. In discussions with Carrie later, she suggested Sami Van Der Westhuizen might be able to help me with a project that I was beginning to think about at that time. Thus I contacted Sami on FB. So when I came up with the idea for this project. I started by having a meeting with Ken and Judy at WAAAM and discussed this as well as a few other ideas. I did not want to move ahead with other elements of the project without making sure it was ok with them; although, I had discussed the idea with Carrie in friendly conversation and got her ideas on whether the logistics of this could be worked out or not. After getting approval from WAAAM, for a slightly different idea than what you see before you, I put out a casting call on FB. When someone suggested Sami, I wasn’t aware she met the height requirements we had at that point, I thought perfect. I asked Sami if she would be interested. Next step was to ask Carrie if she would be willing to do the project. Finally, the day came. 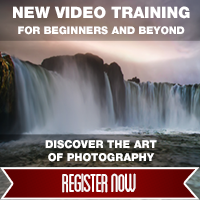 The photographic crew met at Joe Wilson’s studio, Joe is the membership chair at the local chapter of the ASMP. Sami was the only person involved I had not met in person. She came in with her boyfriend and I must say, they are some of the nicest people you’ll meet. So, with one of the friendliest, fun crews around, we got to work. In summation, the shoot was a blast, in addition to producing some great imagery. I was able to make contact with existing friends again and make some new ones. On the professional side of things, Sami was amazing, what I noticed immediately was her ability to help me aim the lights shaving minutes off setup when I changed the lighting. Carrie’s work was fantastic; I especially loved the curls she gave Sami for the shoot. If you are a photographer needing a model and makeup artist, I recommend putting Sami and Carrie at the top of your list of possibilities. They do excellent work and will certainly help keep your set a fun place to be. Now to move on to a technical thing, I wanted to explain how I made the above image. It was inspired by a promotional video on the Profoto web site. I started by setting my ambient exposure such that everything would fade to black. Setting ISO 100, 1/160th of a second and f/16 ensures that happens really quickly under the indoor setting. I setup one light in a strip bank, as close as possible to directly above the Jenny. It was slightly in front of the plane and then tilted at a slight angle to make sure the light shone far enough back on the plane. Then, I lit Sami with a very large octabox placed 45° to her front and 45° above, essentially Rembrandt light. The octa was also aimed across her, feathering the light onto her face. This was primarily done to prevent spill on the background, but also makes the light softer on her. Post processing on this image was really simple. Basically, it comes down to I applied Tonal Contrast from Nik’s Color Efex Pro4 on the plane and Sami’s clothes. 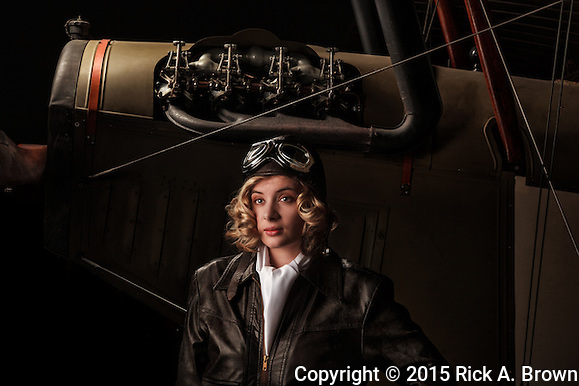 Please take a closer look at the images from this Aviatrix at WAAAM shoot, or my updated people portfolio.